Welcome to another installment of our “Trail Town” series and the third one in 2017. Every month we will feature an article about a trail running city that you should put on your bucket list of places to visit! This month we feature the city of Kenosha, Wisconsin. Kenosha, Wisconsin is a vibrant community nestled on the shore of Lake Michigan in the southeastern corner of the state. Midway between Milwaukee and Chicago, it’s a year-round destination suited for most any taste or budget, and is known for its friendly people and one-of-a-kind places. From the paved trails of the North Shore Bike Trail to the numerous miles of trails found in any of the many county and state parks, Kenosha County and the surrounding area has a buffet of trails and distances for any type of runner. The Kenosha County Bike Trail is a paved trail that runs north to south through the city of Kenosha. Although there is an open section within city neighborhoods, this trail offers fantastic views of prairie and lake Michigan coastline. The northern segment runs northeast from 35th Street in the city to 1st Street at the Kenosha–Racine county line. The surroundings become increasingly rural as you head north, and trees along the corridor provide welcome shade in the summer months. Near the private Kenosha Country Club, the trail passes close to the Pike River. At the county line, the trail seamlessly morphs into the North Shore Trail, which extends farther northward into the City of Racine. The southern segment travels from the south side of the City of Kenosha at 89th Street south to the Wisconsin–Illinois state line at Russell Road. At the state line, a bridge over Russell Road offers a car-free connection to Illinois’ Robert McClory Bike Path. That trail extends south to Highland Park, connecting to a number of other trails in the northern suburbs of Chicago along the way. Just across the street from the UW Parkside’s Cross Country Course is Petrifying Springs Park, one of the many unique county parks within Kenosha County. Petrifying Springs offers 350 acres with scenic hiking and biking with numerous streams and rivers, picnic areas, and playgrounds. Once you are done with your run, you can enjoy volleyball courts, softball diamonds, a public golf course, and Fido can play at the Carlisle Family Dog Park (open year-round). Kenosha County is also home to Richard Bong State Recreation Area. Richard Bong State Recreation Area is open year-round and has over 41 miles of trails for hiking, mountain biking, cross-country skiing, horseback riding, snowshoeing and ATV and off-highway motorcycle riding. The recreation area encompasses 4,515 acres of rolling grassland, savanna, wetlands and scattered woodland. Nature is on display all around, constantly changing with the season. A spring woodland hike will yield the first blooms of the year—white bloodroot and lavender hepatica. The prairie is the place to be in summer, when warm breezes part the brilliant patches of prairie smoke, coneflowers, butterfly weed and blazing stars. In late summer and fall, the variety of seeds, late-blooming flowers and brilliant leaves provide interest. There are two family (modern) campgrounds with a total of 217 campsites, 54 with electric hookups. Six group campsites can accommodate 225 campers. There is also a cabin designed specifically for people with disabilities. Not located within Kenosha County, but within a worthwhile hour’s drive is Kettle Moraine State Forest Southern Unit Nordic Trails trail head. This trail, on County Highway H south of the Village of Palmyra, provides hiking and skiing for skate and classical stride cross-country skiers through a variety of vegetation, hardwoods, pine plantations, open meadows and kettle moraine terrain. There are six different trails of varying lengths and degrees of difficulty, providing great hiking or skiing for all levels of ability. A warming shelter is open every day and convenient parking, vault toilets and a sledding hill are also available at the trailhead. Hiking is not allowed when the trails are snow covered. Bikes are not allowed on this trail system. Nordic Trail map [PDF]. In addition, the Nordic Trails connect with the Ice Age National Scenic Trail which is 30 miles trail that goes from the southernmost end to the northernmost point of the Kettle Moraine State Forest-Southern Unit. It’s part of Ice Age National Scenic Trail part of the that eventually will go 1000 miles through some of Wisconsin’s most scenic areas. The Des Plaines River Trail in Lake County, Illinois. Another notable trail not located within Kenosha County but only a 15 minute drive away is the Des Plaines River Trail. The Des Plaines River Trail and Greenway traverses north–south along the route of its namesake river along its course through both Lake and Cook counties. The corridor protects 85% of the riverine habitat in the county. The 56+-mile trail connects numerous forest preserves, parks and communities between the Illinois–Wisconsin border and south, well into the western Chicago suburbs. Parking to enjoy the many trails and scenery at the county parks, such as Petrifying Springs Park, Kenosha County Bike Trail, and the nearby Des Plaines River Trail is free to the public. Richard Bong State Recreation Area and Kettle Moraine State Forest/Nordic Trails require a state park pass. An annual pass can be purchased for both Wisconsin residents ($28.00) and out of state visitors ($38.00). Day passes are available as well ($8 and $11 respectively). Annual passes can be used at any of the state parks within Wisconsin. Kenosha’s Lake Michigan shoreline is one of our most popular features, with nearly 90 percent publicly accessible via parks, beaches, festival places and a miles-long promenade. The lakeshore also boasts five one-of-a-kind museums, an authentic electric streetcar system, two historic lighthouses, and the popular Kenosha Harbor Market. A vibrant Downtown district full of shopping, dining and the arts is ideally located just steps from the lakeshore and makes for a truly special visit. There’s an old saying that you can’t please everyone … but we’re not so sure that applies to Kenosha, Wisconsin! There really is something here for everyone. Whether you’re looking for a family-friendly getaway with the kids, a relaxing nature-inspired retreat, or an action-packed weekend with friends, we’ll help you put together an itinerary that’s sure to please! Popular coffee stops include Harborside Common Grounds. In the summer you can take a seat on the deck and watch kids learning how to sailboat, the Electric Streetcar traveling by, and boats heading out to Lake Michigan. Also popular is The Buzz Café, which serves top tier coffee from Metropolis, and The Coffee Pot, which offers locally roasted Colombian coffee. More than coffee places, all three offer food and other beverages. You’ll find locally made small batch craft beer at three Kenosha breweries: PUBLIC Craft Brewing Co. and Rustic Road Brewing Company in Downtown Kenosha, and R’Noggin Brewing Co. adjacent to Interstate-94. PUBLIC Craft Brewing Co. opened in 2012 and offers “Beer For The People” in Downtown Kenosha. There are no televisions or hard liquor. Instead, people are encouraged to engage with each other in face-to-face conversation, to color on the coasters, to play shuffleboard or other games, and to enjoy live music. You can bring your own food or order in. Rustic Road Brewing Company opened in 2012, and offers 16 locally crafted beers on tap, brewing classes, live music, trivia, and special events. It’s expanding in 2017, and will offer a full food menu, featuring paired beers. R’Noggin Brewing opened in 2016. Its beers are focused on quality and drinkability with a bit of crazy mixed in. Kenosha is a foodie destination with an abundance of locally owned and operated restaurants – including supper clubs, drive-ins, diners, Italian cuisine, German cuisine, a soda fountain, and much more. Be sure to have the renowned Garbage Plate at Franks Diner – the oldest continuously operating lunch car diner in the U.S has been featured on Food Network’s “Diners, Drive-Ins and Dives”. Among the newest restaurants is Mike’s Chicken & Donut Bar, where you can have a Donut Martini: a Bloody Mary garnished with chicken on a stick and a donut. When enjoying Kenosha County trails in the western part of the county, Bristol 45 Diner is nearby to enjoy. For a list of locally owned restaurants, go to the Kenosha Area Convention & Visitors Bureau’s website at VisitKenosha.com. Although Kenosha does not have a local running store, it does not mean that there is not a great place to get the perfect running shoes. All of the runners in the area know that to get a good fit, visit Rogan Shoes and be sure to ask for Chuck. He will make sure that you get the shoe that is best for you. 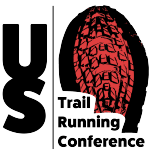 If you need some trail knowledge, Kenosha Running Company is a local race management company specializing in trail races in the area. Brian, the company president, can direct you to the local trails, event some of the “secret” ones. He might even close down the office to run an easy 3 (or 10) with you. The Kenosha Running Club is also a great resource for getting directions to trail heads or finding a new running friend. In addition, the Racine Area Running Club, ClearWater Outdoor in Lake Geneva, Lapham Peak Trail Runners, are other great local area running resources. 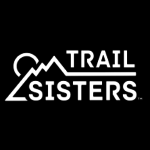 Each of these groups will always have a member (or more) willing to show you the trails and share their knowledge and passion about the area. There is a wide array of events on the trails within Kenosha, WI. From group runs sponsored by the Kenosha Running Company or the Kenosha Running Club to ultra-events held on the campus of UW Parkside, there is a something for every type of runner (or walker) to be able to enjoy nature and the company of others out on the trail. 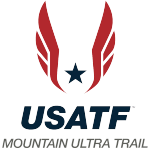 Several notable events include, the Hil100py 100+ Relay, Hot Hilly Hairy Ultra Solo and Relay, Wolf Pack Trail Run, and several events held nearby in Kettle Moraine and on the Des Plaines River Trail. The Hil100py Relay and the Hot Hilly Hairy Ultra Solo and Relay are both on July 29th, 2017 on the UW Parkside Wayne E Dannehl National Cross Country Course. The Hil100py Relay is a 100+ mile relay in which teams of 2 or more complete 33 loops of the 5K Cross Country Course. This challenging course has grass or natural paths that take the runners through a series of rolling hills. Although the climbs feel easy at first, the size of the hill is increased with each loop you complete. The exchange area/start and finish, is a bustling village with food, music, and games, which encourages camaraderie between all the runners awaiting their turn. The Hot Hilly Hairy Ultra Solo and Relay offers athletes preferring an individual challenge or relay teams not desiring to run the over 100 mile relay the opportunity to run alongside the athletes running the Hil100py Relay. The Hot Hilly Hairy offers individual distances of 85K, 65K Dragon Dare, 50K, 30K, 20K, 10K, and Charge the Knight 5K in addition to the 18 Hour Death March. Relay teams can chose from 85K, 50K, and 30K options. The Wolf Pack Trail Run held at Richard Bong Recreation Area on November 12th offers participants a choice of 4 individual distances (4, 14, 28, or 42 mile) or three relay distances (14, 28, or 42) to experience the beauty of Wisconsin in the fall and test their fitness just as Wisconsin prepares for winter. The course offers open meadow, wetlands, and woods challenging runners with a variety of single track, mowed paths, and horse trails. To make it more of an adventure, you the campground will be open at the park, so you can just roll out of your sleeping bag and meander to the start! In addition to the race offering by the Kenosha Running Company, there are several events that take place on some of the trails that are within driving distance from Kenosha. The Kettle Moraine Forest is home to several ultra-running events including the Ice Age Trail 50, founded in 1982 the 50 miles and 50K course follow the Ice Age National Scenic Trail taking runners on a tour of the unique geologic feathers created by the last Ice Age, the Kettle 100 Endurance Runs, offering 100 mile, 100K, 100 mile Relay, 50K, and 38 mile night fun run, and the North Face Endurance Challenge, offering 50 mile, 50K, Marathon, Marathon relay, and a Kids Run. The Des Plaines River Trail is home to the DPR Trail Races which offers half marathon, marathon, and 50 mile options. Richard Bong State Recreation area.